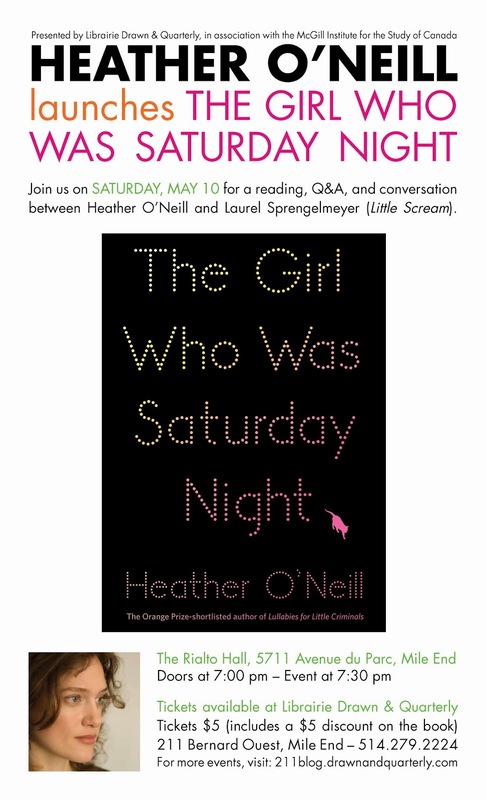 Join us at tonight the Rialto Hall (5711 ave. du Parc) on Saturday, May 10 to celebrate the launch of Heather O'Neill's much anticipated new book, The Girl Who Was Saturday Night! Tickets still available! The event will feature a reading, followed by a Q&A and a conversation between Heather O'Neill and Laurel Sprengelmeyer (Little Scream). Tickets are $5 and include a $5 discount on the book. They are still available at the bookstore or by phone at 514-279-2224! Doors are at 7 p.m., with the event starting at 7:30 p.m.
From the author of the international bestseller Lullabies for Little Criminals comes The Girl Who Was Saturday Night, a coming-of-age novel set on the seedy side of Montreal’s St. Laurent Boulevard. Gorgeous twins Noushcka and Nicolas Tremblay live with their grandfather in a tiny, sordid apartment on St. Laurent Boulevard. They are hopelessly promiscuous, wildly funny and infectiously charming. They are also the only children of the legendary Québécois folksinger Étienne Tremblay, who was as famous for his brilliant lyrics about working-class life as he was for his philandering bon vivant lifestyle and his fall from grace. With all the wit and poignancy that made Baby such a beloved character in Lullabies for Little Criminals, O’Neill writes of an unusual family and what binds them together and tears them apart. 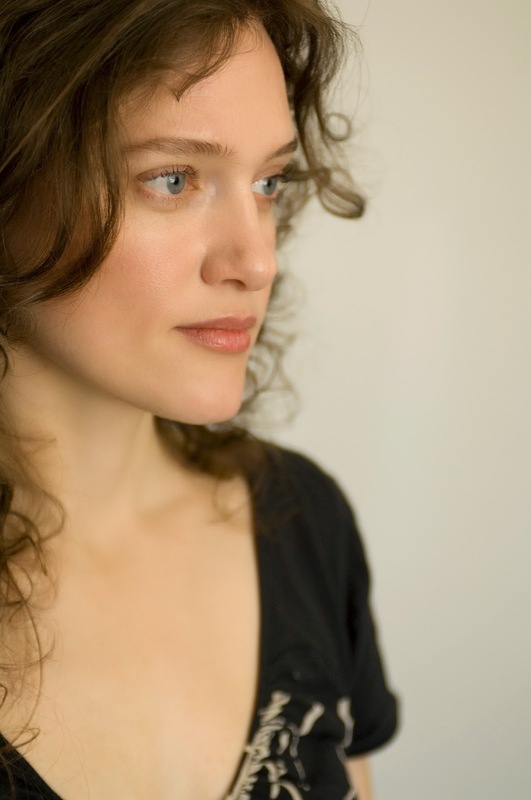 Heather O’Neill’s first novel, Lullabies for Little Criminals earned accolades around the world, including being named winner of Canada Reads 2007 and the Hugh MacLennan Prize for Fiction, and being a finalist for the Governor General’s Award for Fiction and the Orange Prize. O'Neill is a regular contributor to CBC Books, CBC Radio, National Public Radio, The New York Times Magazine, The Gazette (Montreal) and The Walrus. She was born in Montreal, where she currently lives. This event is presented by Librairie Drawn & Quarterly in association with the McGill Institute for the Study of Canada. We look forward to seeing you there!